Love it or hate it, long exposure photography is a hugely popular genre in landscape, seascape & fine art architectural photography. It has progressed from a fad to a definable style of photography that looks like it is here to stay. When I first started trying to understand this concept, information was hard to find. Those who had the techniques nailed down appeared to make it sound far harder than it actually is. 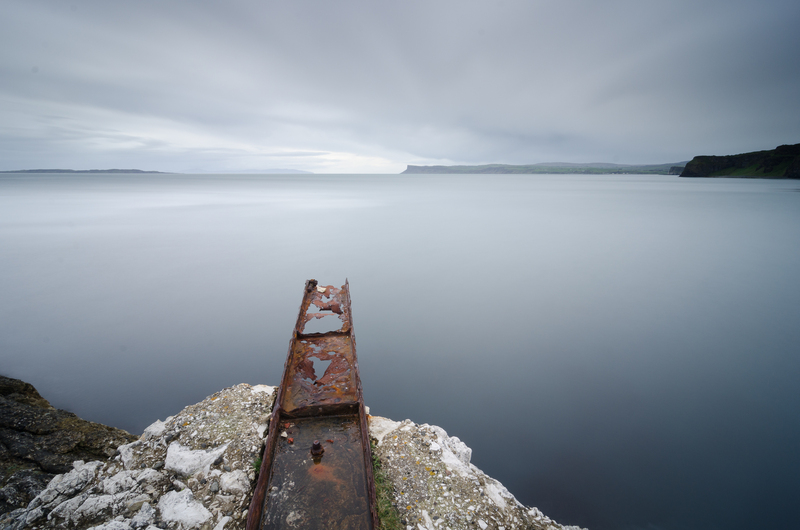 The purpose of this article is to help demonstrate how easy long exposure photography can be. 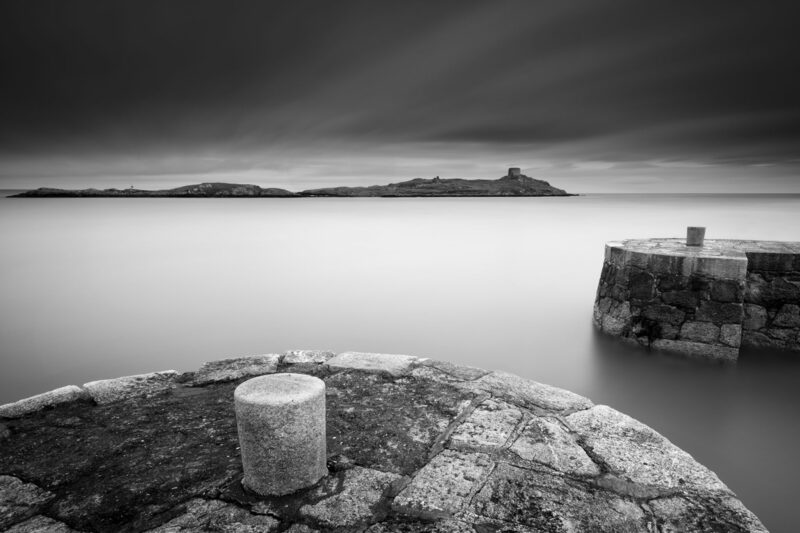 Long Exposure Photography can simply be classified as any photograph with an exposure time longer than 1 or 2 seconds. 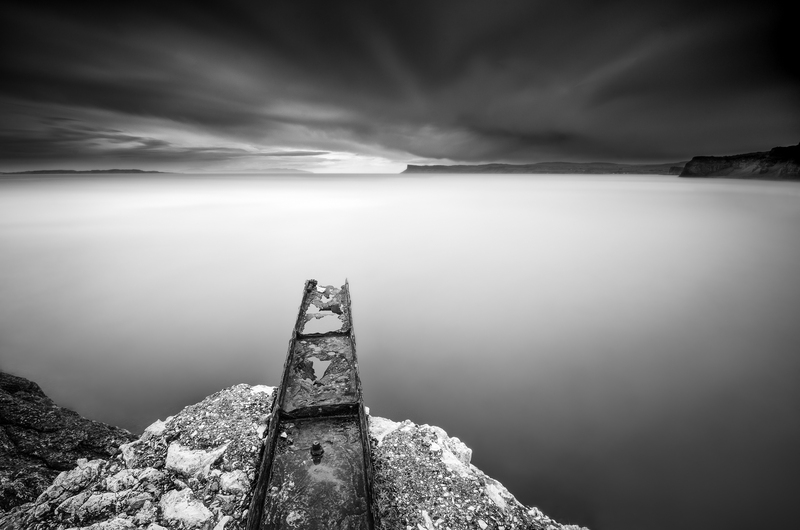 For this article, I will concentrate solely on B&W Seascape Extreme Long Exposure Photography i.e. 30 seconds and longer. Hopefully by the end of this article, I will have given you a better understanding of how to shoot & process long exposure seascape images of this nature. After 5 year’s of trial and error, I have reduced the field capture process into a simple & easy to follow step by step process which anybody should be capable of following. In my humble opinion, it’s an extremely fascinating genre of photography which helps the photographer take a mundane every day scene and transform it into something completely different (with the right conditions). The results can be amazing!! When approached with the right technique, vision and skills anybody can create these beautiful & subtle fine art long exposure images. Long exposure photography has similarities to the way Infra-red photography transforms images into something the eye cannot see. I personally like to call it “Virtual Reality”. An added bonus for the landscape photographer is that these images can be captured at any time of day and in very dull overcast weather conditions. This helps extend the amount of time we can spend taking photographs. No longer are we only confined to the classical golden hours of sunset and sunrise. Clouds turn to streaks of mist racing across the sky. Raging waters and high waves smooth into a fine mist and instil a sense of calm & serenity to finished images when in reality the conditions could have been rough & windy. These effects help convey a mood in images which could not have been captured via normal landscape / seascape photography techniques. This comes down to personal taste. I like images with a strong foreground static subject which helps to anchor the image. Simple objects such as rock formations, old piers & posts, branches, old boats, walls, sea defences, etc are all very useable. There are some artists who use the movement of objects such as boats to emphasize long exposure even further – just google “long exposure Venice” for example. Below, a simple piece of drift wood sufficed as the central subject. In all honesty, anything can be used and it does not matter if it is modern or ancient. 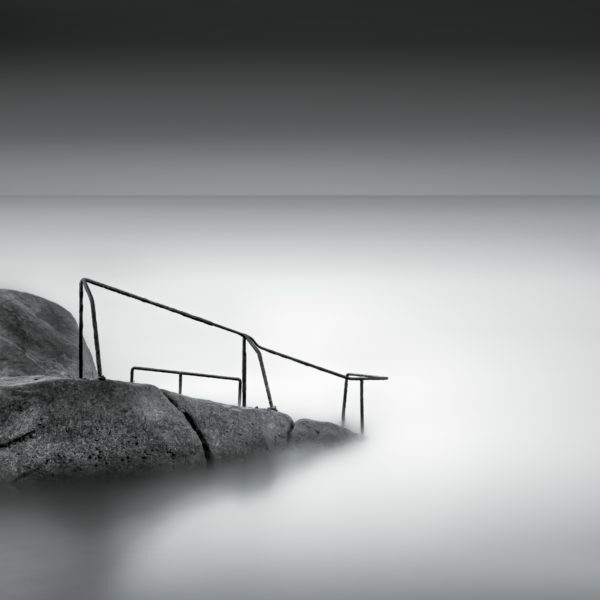 However, it is the composition that plays a huge role in making or breaking long exposure images as they can become so simple in nature. The placement of the key static subject is critical to the success of each image. Pay close attention to where objects & horizons are placed. Don’t be afraid to break the traditional composition rules as long as it works. Pre-visualization of the finished article is the hardest part of this jigsaw. With practice you can interpret how your finished image may look long before hitting the shutter release. Many variables can affect the end result such as cloud cover, weather, wind speed & direction, height of waves, exposure length, etc. I like to keep my exposures around 5 minutes long but there is no magic formula. Each scene may require a different exposure depending on the conditions at hand on the day. 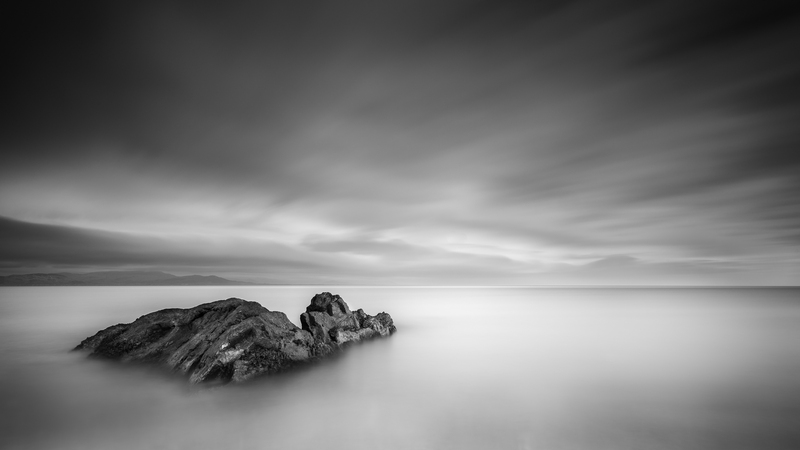 Again, focusing mainly on seascapes – this can be anytime of the day depending on your personal preference. The great thing about long exposure photography is that we are not restricted to either end of the day. I find sunset and sunrise particularly difficult as the light is changing quickly. You can set your shutter as per the conditions at the time only to find that they have changed considerably by the time you are getting towards the end of your exposure. If the light is fading you will find your image under exposed and vice versa as the light increases at sunrise. Calculating exposures wrongly at sunset will seriously limit your chances of success as the light fades. Personally, I find it a little easier when the light levels are more consistent during the day. If you make a slight error, you simply re-try. Any camera with manual Bulb exposure mode will do. This allows the photographer to hold the shutter open for an indefinite amount of time as required via the help of a shutter release. A Sturdy Tripod is hugely important. Our camera needs to be 100% shake free during these long exposures. Flimsy tripods really are not suitable for this type of photography as they can be moved and vibrated far too easily. A saving of €50 between a cheap or mid range tripod could potentially cost you months of wasted effort as shot after shot fails. The tripod does not need to be hugely expensive – just sturdy. There are many good second hand options available on-line. As already mentioned, a Shutter Release should be used to hold the shutter open in manual bulb mode. Again, there are many varying types available. I use a very cheap cable release and have yet to see a need to invest in the expensive & complicated models. A timer – Unfortunately most cameras have a max exposure setting of 30 seconds. Hopefully this will change in the future, but for now we need a way of keeping count as the seconds & minutes pass by. The more expensive shutter releases have timers built in. I simply use the stop watch function on my phone to keep track of each exposure. 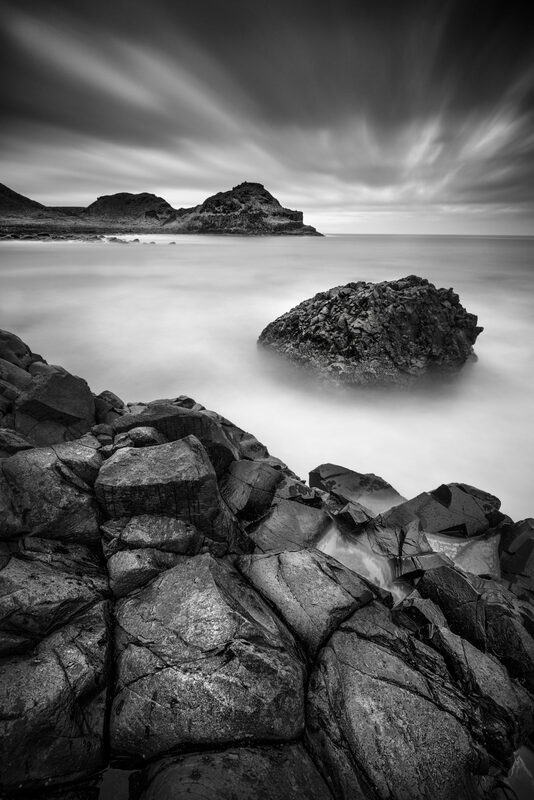 Neutral Density Filters – I use a full set of Lee Filters ranging from Full ND filters to Split graduated nd filters. The range in my wallet includes the Big Stopper & Little Stopper, 3 stop ND Filter, Hard & Soft Graduated Filter sets & the Lee Polarizing Filter. These can be combined to suit any conditions you may come across in the field. There are newer products on the market now such as the Super Stopper (15 stops) & the newer non colour casting filter range. I have yet to try them but hope to do so soon. Lastly – something to block off the eyepiece at the back of your camera during the exposure to avoid what is known as light leak. If there’s one small piece of advice I can impart to anyone new to landscape photography and wanting to make fine art long exposure images, it is this – learn to walk before you try to run…..
All the principles of good landscape photography hold true here. Learning to balance exposures between sky and ground via filtration is a must. I have been on field trips with beginners using extreme long exposure filters and noticed that they hadn’t not a clue as how to balance the light between the sky and foreground. Take the time to learn how to use split graduated filters correctly before driving yourself mad trying to get a long exposure image. You may stand there for anything up to 10 minutes only to discover your exposure is all wrong. It will prove a very slow learning process if you try to do this with a big stopper filter in front of your camera every time. Once you have got to grips with the balance of light, then you can start introducing the stronger filters. O.K. – here it is. A simple, easy to follow, tested & proven field technique for daytime long exposure landscape & seascape images. Start by finding a subject & spend lots of time figuring out your composition. Focus on pre-visualizing the foreground detail, wind direction & speed, type of cloud etc. I personally try to make sure I have my composition perfect before taking the shot. Why? Because it takes a long time to make each image so a couple of extra minutes getting this right could save you many long failed attempts. Only after I have found my composition, do I set up the tripod. Focus manually & preciesly using live view. I simply place my point of focus about 1/3 of the way into the frame. Once focused I double check live view mode for any distractions around the edge of the frame. Once I am happy with both composition and focus, I turn any automated focus mechanics off. I also ensure VR/IS is turned off on my lens at all times when it is on the tripod. Chose the correct graduated neutral density filters to balance the exposure as per any normal seascape image. Position the graduated filters perfectly as required against the horizon etc. I then fire some test shots do determine the correct exposure. I like to expose to the right – you can find out why here. I then calculate how long my final shutter speed needs to be and set the relevant settings in my camera. This can be done by consulting you Lee Filter chart which comes with the Big & Little Stoppers. I keep this attached to the front of my filter wallet at all times. Alternatively you can use a phone app such as “Longtime Exposure Calculator” which will achieve the same result. My typical settings are Bulb Exposure, ISO 64, F8-11, Mirror-Up & Noise Reduction turned off. 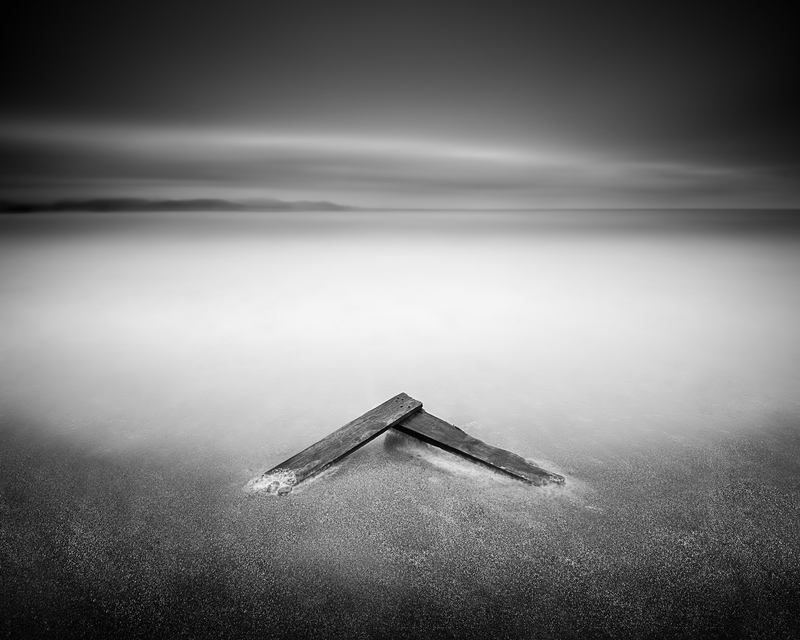 It is only then that I place my Big Stopper Filter. I always ensure this is placed closest to the lens out of all the filters applied. This is because it has a foam gasket on the inside to stop any light leaks getting behind it which will cause light pollution and destroy your image. At this stage, you will not be able to see through your view finder any longer which is the reason I do all my focus work and apply split grads in advance. Finally I close off the eyepiece on my camera and cover it with a lens cloth. I clip the lens cloth tight with a large paper clip. This just adds one last level of protection from light leak. If I am in a really lazy mood sometimes I don’t bother. Trip the shutter, sit back and enjoy the scenery!!! If it is very windy, I advise weighing down the tripod with your camera bag and maybe even blocking the wind from reaching the camera with your own body to help ensure there is no camera shake during the exposure. Sounds complicated – right. In reality its very simple. Because my Lee Big Stopper is made by hand, each batch can be slightly different. Initially I found that my exposures always looked a little underexposed even though I had followed the guideline exposures as per the chart provided. I originally thought that this was due to light conditions changing as my exposures progressed. In time, I realized this was because my filter was not a true 10 stops of filtration. Some tests at home proved definitively that my filter actually gave 10.5 stops of light. So if my chart suggested 2 minutes I need to give 3 minutes and so on. My problems stopped overnight once I understood this. On the other hand, my Little Stopper is perfect to the second every single time. Lee have recently brought out the new Super Stopper (15 Stops). Whilst I am a big fan of the brand, this is one I more than likely won’t buy. By combining the 3, 6 & 10 stop filters and a polarizer, I am more than covered to extend long exposures as I require in most situations. I historically always used the in camera noise reduction feature when taking long exposures. Basically, the camera takes a 2nd frame of equal length to your exposure immediately after you have taken your image. This is called a “Dark Frame” or “Dark Frame Subtraction” where only a black image is taken. It allows the cameras software to find out where the hot pixels are and then eliminate them in camera. The disadvantage to this is that it doubles your exposure times, so five minutes become 10 minutes and so on. You can see now why I recommend making sure your composition is spot on before you start to shoot – a couple of composition changes could take an hour of photography. I shoot differently today. Why? I first started my long exposure quest with a Nikon D7000 which is a horrifically noisy camera (a good little camera, buy noisy all the same). I had no other choice but to use noise reduction or the images looked like swiss cheese. Since updating to the Nikon d810 which is a full frame camera, I have discovered I can get away with more without engaging the in camera noise reduction feature using this feature. This reduces my time standing around waiting on the image to appear on the back of my screen. I also use Lightroom & Topaz Denoise to solve any problems I come across. My advice is to test both ways for your own camera and then make a personal decision as to which works best for you at the present time. Cloud and wind play a huge role on the end result of a long exposure image. You cannot consider one without also looking at the other as they both work together. First you need to determine the amount of cloud cover that there is. 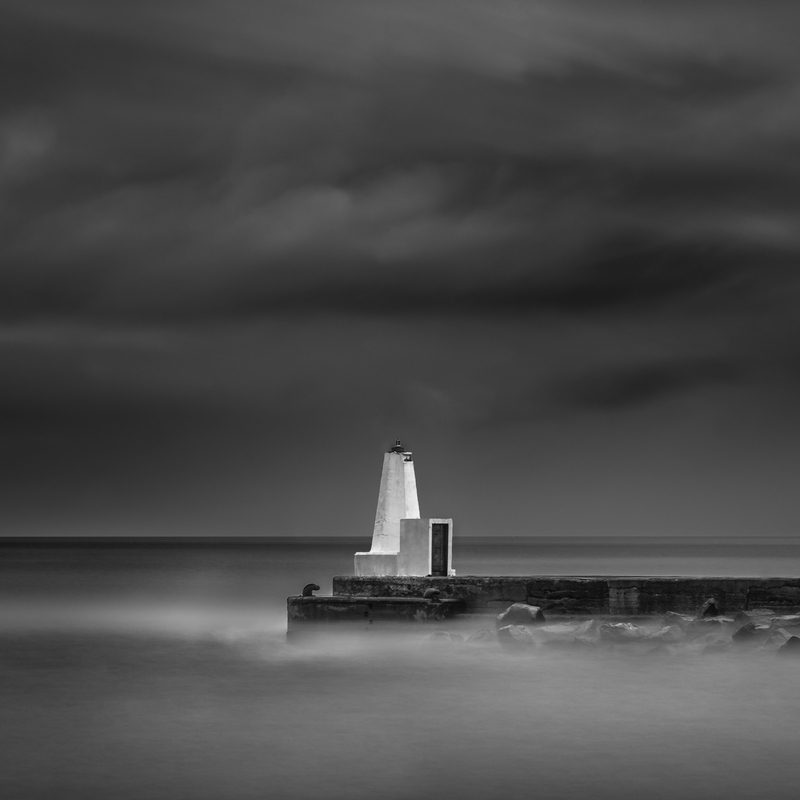 Heavy cloud cover leads to smooth silky skies with little detail or contrast after a long exposure has been created as the cloud turns to a smooth mist. You may wish to shorten your exposure slightly to keep some visible detail in the sky. Broken clouds with blue skies can lead to a more pronounced streaky effect as the white clouds contrast against the blue sky which can be darkened to almost black in post processing. You then need to consider the direction the wind is blowing and how fast it is making the clouds move. If the wind is blowing from your side, it will create horizontal layers in the sky of your image. If it is blowing towards you or from behind you, it will create vertical streaks. The strength of wind combined with length of long exposure will in effect determine a huge part in how your sky appears. Once you understand these effects, you can start to pre-visualise what will appear on the back of your screen when the image is made and put it to use to get the best compositions. This is where the magic really happens…. I simply load my images into Lightroom and go through my usual seascape post processing techniques. Once finished I convert into B&W and transfer the photo into photoshop for further editing. Once I’m in here I start to use a couple of adjustment layers & masks to bring out the drama in the image. 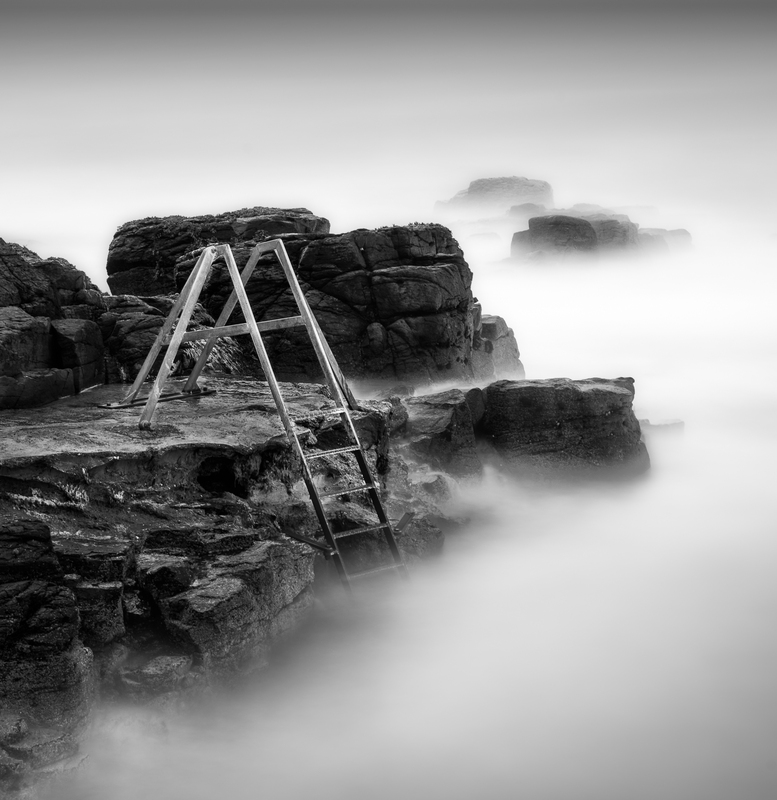 I also use Silver Efex pro to help bring the image I can envisage to life. I typically start by creating 3 new layers for the foreground, sky and water and label each of these so I know exactly what each layer is. Each layer can have a very different purpose which is hard to explain in writing so I will demonstrate using an image I created at the Giants Causeway. I had gotten out of bed at 2am to make the long drive north to ensure I was on the causeway in plenty of time for sunrise. The forecast was for broken cloud so I had pre-visualised a lovely colourful low light sunrise photograph. Unfortunately, the weather report was not accurate and I got heavy cloud cover instead with no sunrise colour to speak of. I had no other choice but to try and work with it and create something different to what I had made the journey for. The wind was very strong and blowing straight at me which left the water very choppy. It was difficult to find a safe location. I managed to find a nice composition with interest from front to back with the wind blowing on my back. I knew this would create lovely strong vertical streaks of light. You can see the before and after images above. Step 1: I copy the original layer and complete any cloning, clean up that is required. Step 2: I go into silver Efexs and create a sky, water & foreground layer simply by choosing the different settings I think will work for each area of the image. For example, I like dark contrast in my sky so for this I would look and the Low Key Preset and adjust it from there. I like structure and detail in my foreground so I pick a setting that suits this. Then once loaded as separate layers back in photoshop, I simply mask in the pieces I want. Sometimes I create a very slight Gaussian Blur on the water layer just to make it look even more smooth. I have seen some people recommend using a motion blur to help heighten the movement effect in the clouds but I have never had a need to do this as yet. Step 3: I create a 50% Grey layer (Soft Light Blend Mode) and just lighten and darken the areas I feel need some additional work to draw the viewers eye to or away from an area. You can read about Dodging & Burning Here. Step 4: Hit save and I’m generally done. None of us need to work exclusively in B&W for these types of images. They also look wonderful in colour so do not be afraid to experiment.